You want the best when it comes to hiring a Newmarket roofing company and that’s why the smart choice is us. We’re a family run business that has been serving the needs of Zephyr, Newmarket, Richmond Hill, Uxbridge and Aurora since 1998. We know you expect the best in sales and service and that’s just what we deliver. We align ourselves with the best suppliers so the quality of the work you get from us is never in question. We are all about providing our valued Newmarket roofing clients with affordable prices and top notch services. Our installers are all highly trained courteous professionals who are friendly and will answer any and all of your questions so you’ll be comfortable with the final product. Furthermore, our workers are trained under the highest safety standards available in the country so you can rest assured that whether you need commercial or residential roofing looked after we’re on the job with the professionals that will make a difference to your overall satisfaction. When you’re looking for a Newmarket roofing company doesn’t cut corners and stays on top of the job from start to finish, look no further than Dillon Bros Roofing. 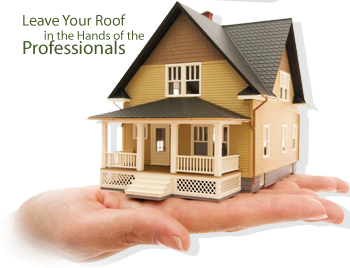 Why contact the Dillon Bros for your Newmarket roofing contractor needs? Dillon Bros Roofing is the trusted company for residential and commercial clients, since 1998. We are experts in metal roofing, flat roofing, and home shingle projects. Not only do provide the top quality services, we only use the highest quality materials, to best ensure that your roof can meet the challenges of all unexpected climate and weather changes. Contact us today at (905) 473-1718 for all your Newmarket roofing repair and installation needs. We are here to help. Our service areas include: Toronto, Mississauga, York, and Durham regions including the towns of Newmarket, Aurora, Richmond Hill, Zephyr, and Uxbridge. Our services include: metal roofing, shingling, flat roofing, exteriors, deck water proofing, metal Roofing for both commercial and residential clients.